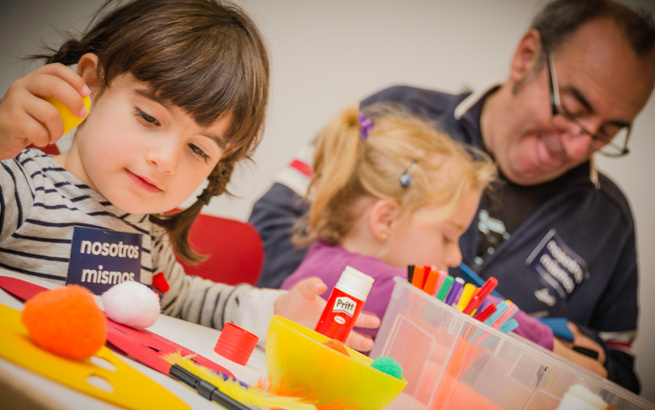 On weekends Museo Picasso Málaga offers this activity to bring both adults and children closer to art and to the Buenavista Palace. Accompanied by an art historian, adults will participate in a tour of the architecture of the Buenavista Palace, including areas that aren’t accessible to the general public, such as the terrace of the museum with its magnificent view of the city (weather conditions permitting). This is followed by a visit to the MPM Collection, were the diverse themes presentes in Picasso’s work will be explored. The children’s activity involves a tour of MPM’s permanent collection. The rest of the session is a workshop, in which participants can put into practice what they have learned during the tour. Here they create their own works, which they can take home at the end of the session.